Your favorite foul-mouthed teddy bear is back and better than ever! 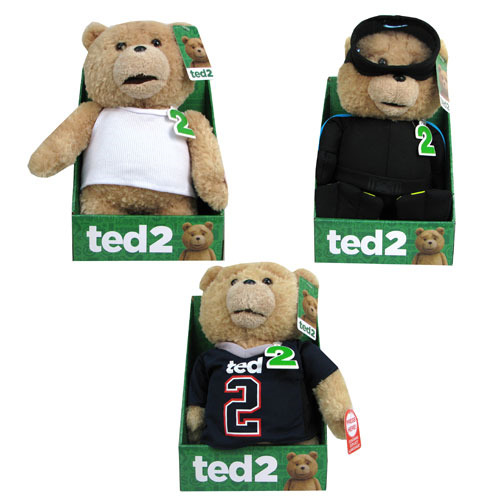 This Ted 2 Ted 11-Inch Talking Plush Teddy Bear with Outfits Half Case contains 8 individually packaged Talking Ted bears, each measuring 11-inches tall and featuring some of the funniest and most vulgar lines from the movie - and wearing some of the most iconic outfits from the film! He's super soft to the touch, too! Bring home your thunder buddy! Ages 17 and up.